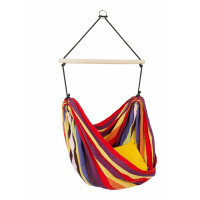 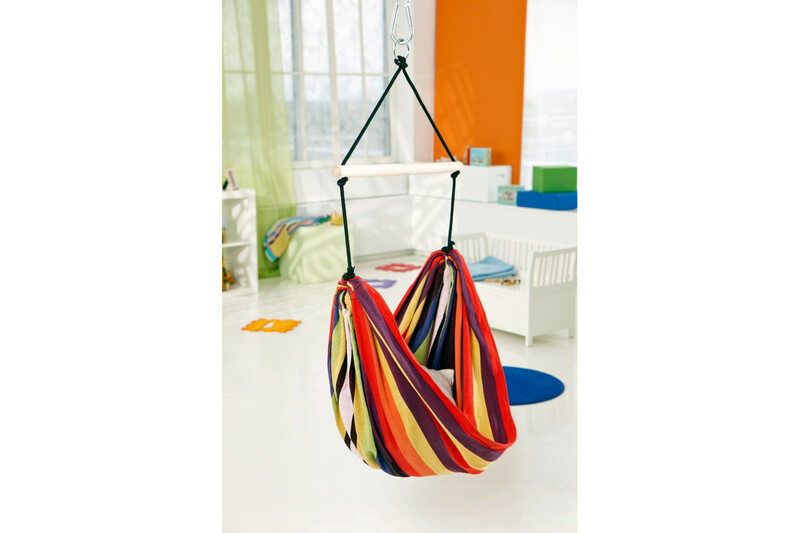 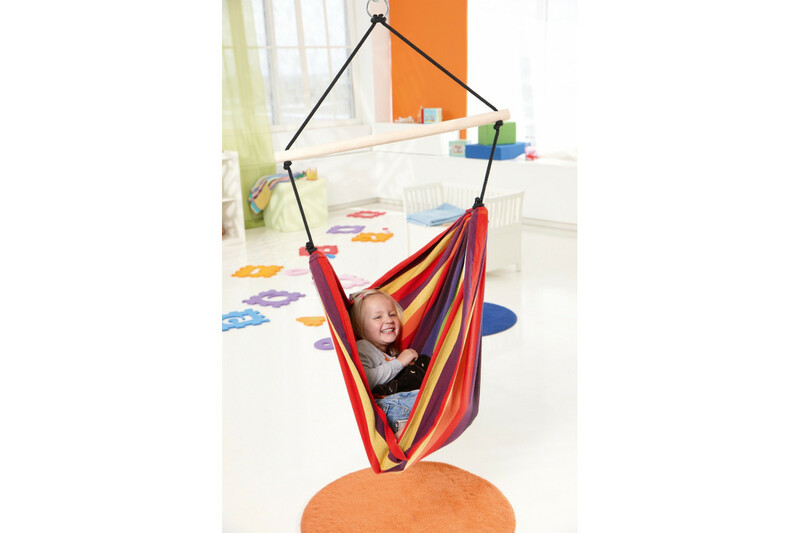 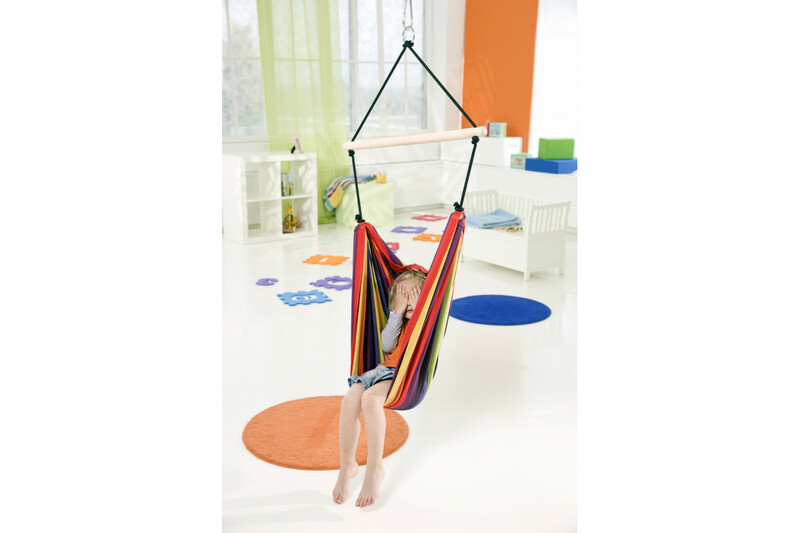 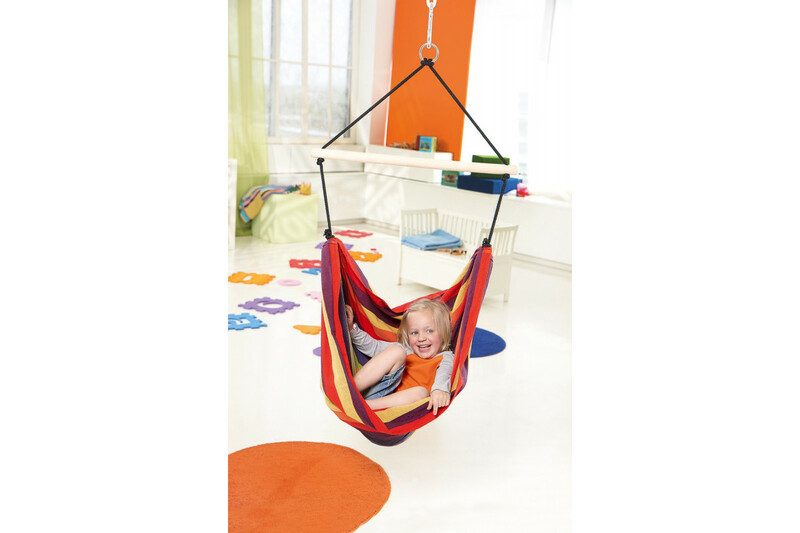 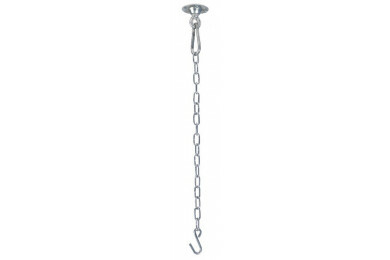 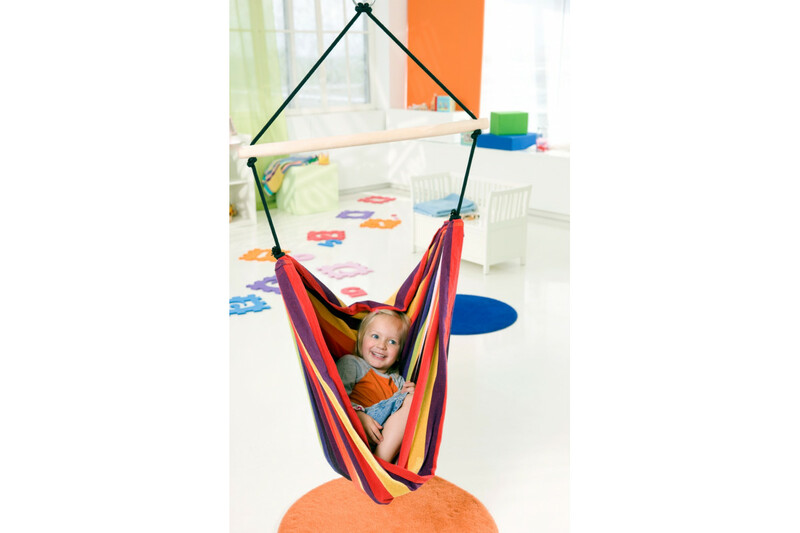 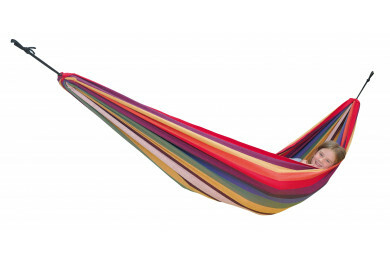 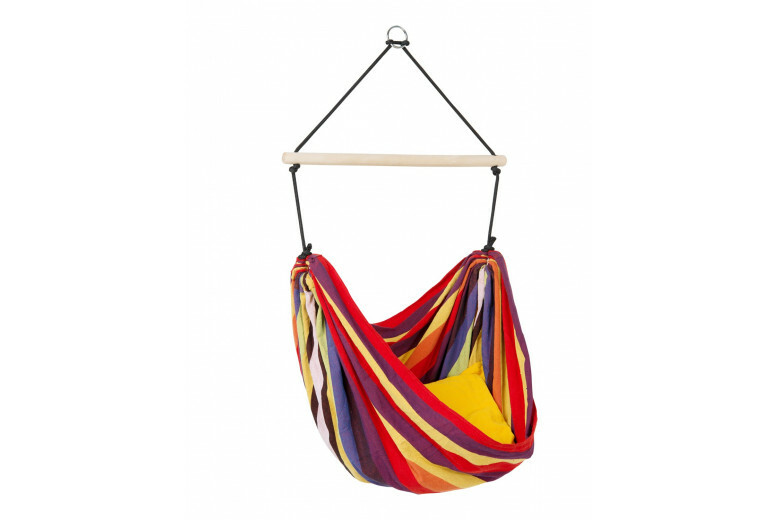 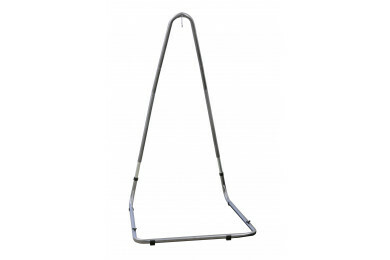 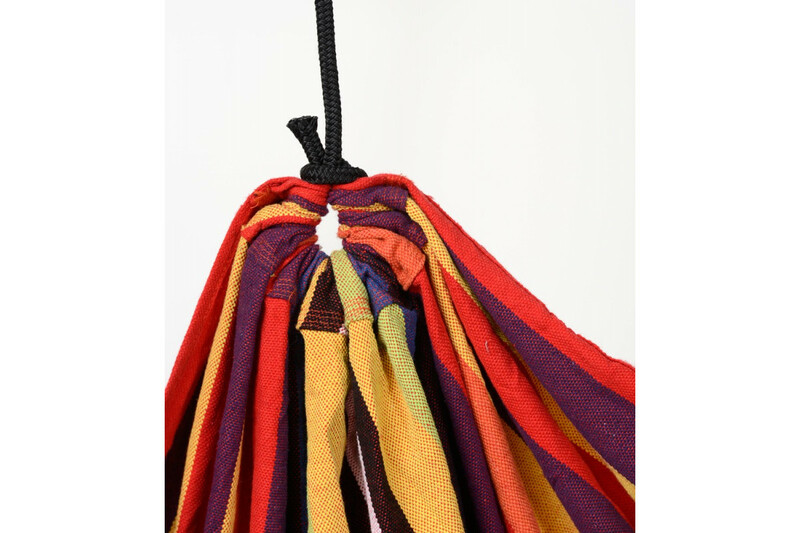 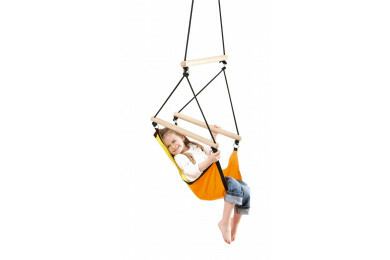 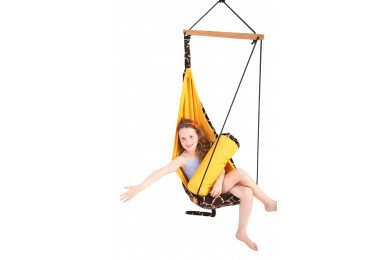 The brightly coloured hanging chair will bring cheer to any child's room. 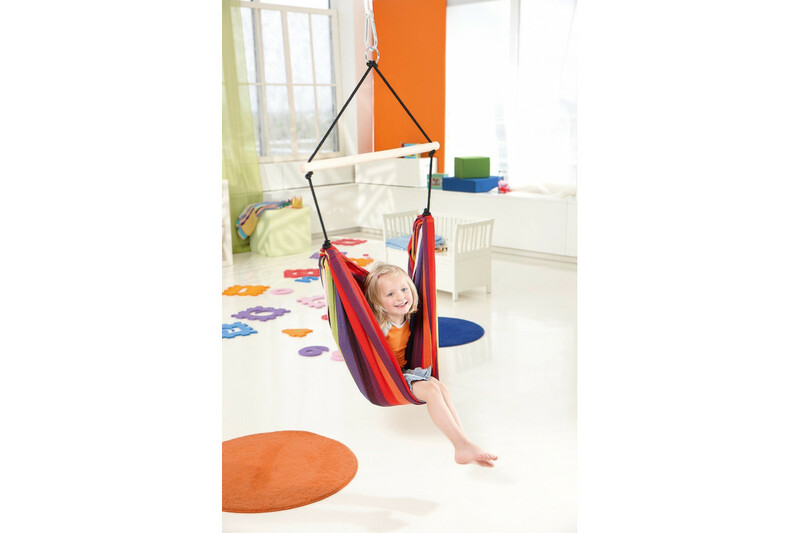 Exclusively in a children's size and with a childproof suspension device, the chair can be hung and taken down in the blink of any eye and will even fit under a loft bed! 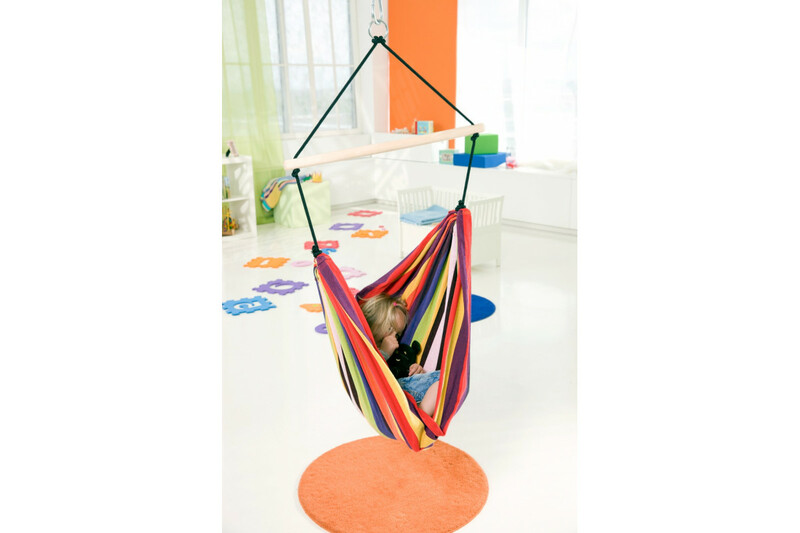 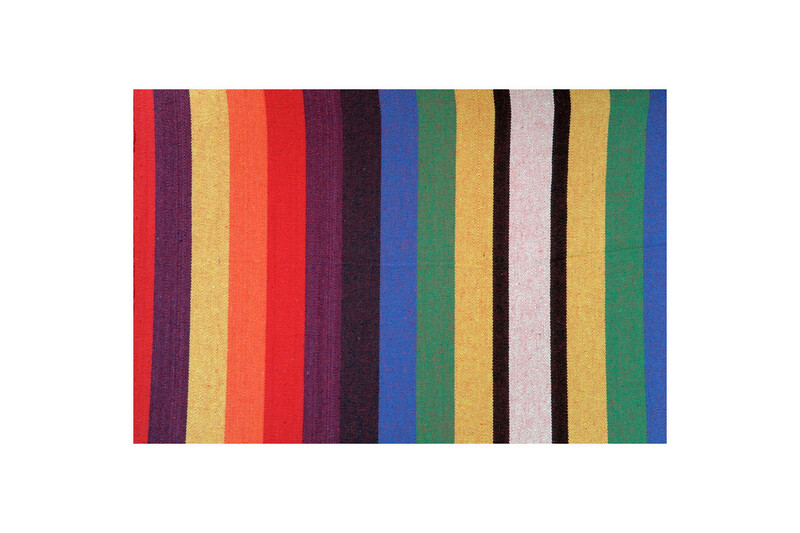 Kid's Relax is made from weatherproof and UV-resistant EllTex material making it extra durable, yet as soft and cosy as cotton.